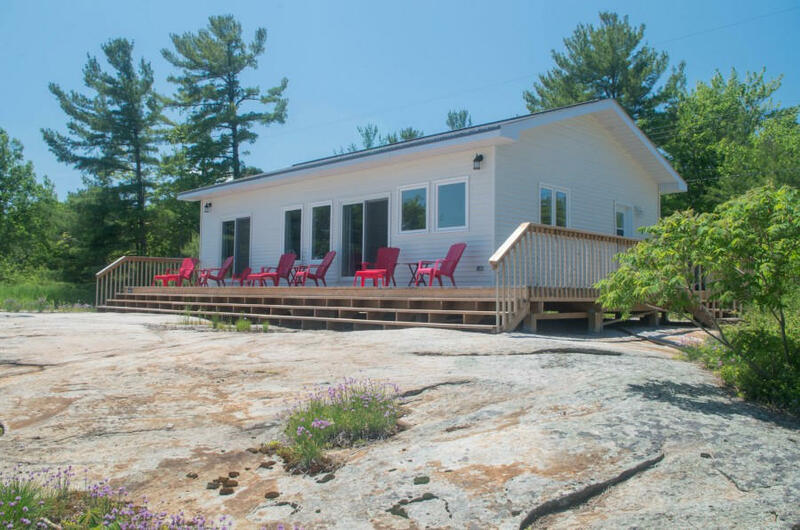 We chose the name "Honey Harbour Classic" for this cottage because it is, well, the perfect description - a 3-bedroom boat-access cottage sitting on shield rock with a panoramic view of the blue waters of Georgian Bay. 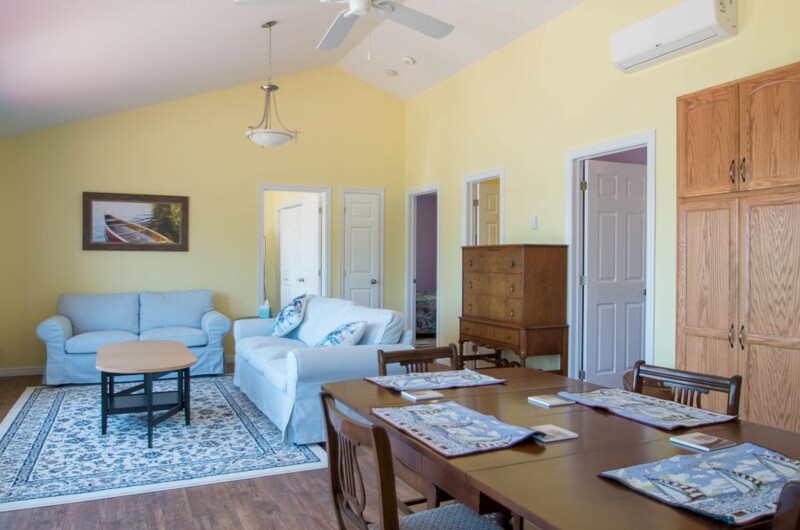 Just a 5-10 minute boat ride from the CnC Marina in Honey Harbour, this cottage is very easily accessible for boaters of any capability - and if you'd rather leave the navigating to someone else, a water taxi can be hired. 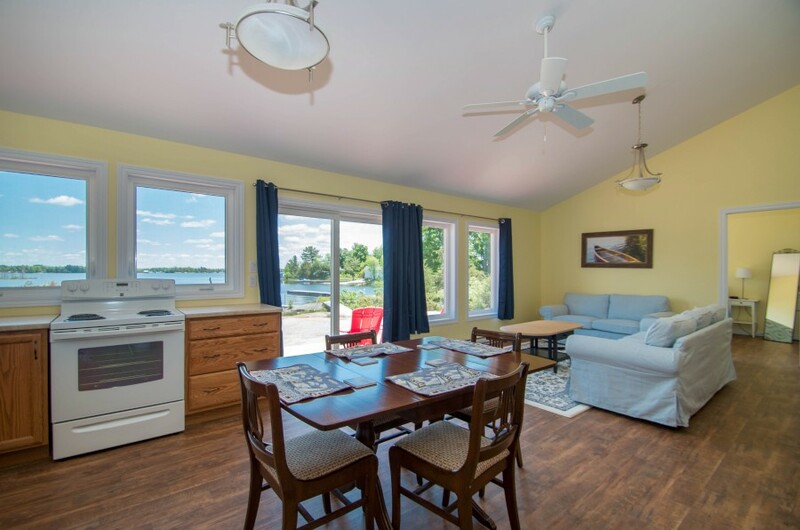 The cottage is bright and airy inside, with views of the bay dominating the open concept kitchen, living and dining areas as well as the master bedroom, which enjoys a walkout to the deck in addition to the view. 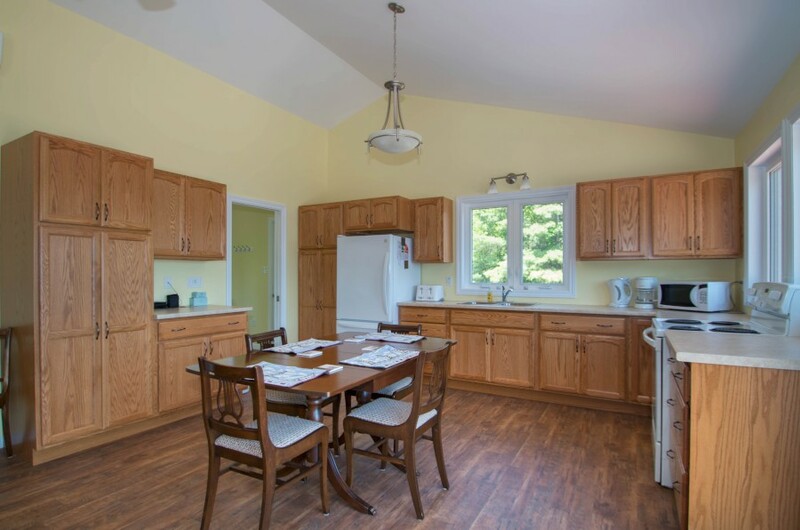 The kitchen has everything you need and the dining table sits 6 people comfortably. A propane BBQ sits out on the side deck, and you'll no doubt want to make use of it during your stay as well. 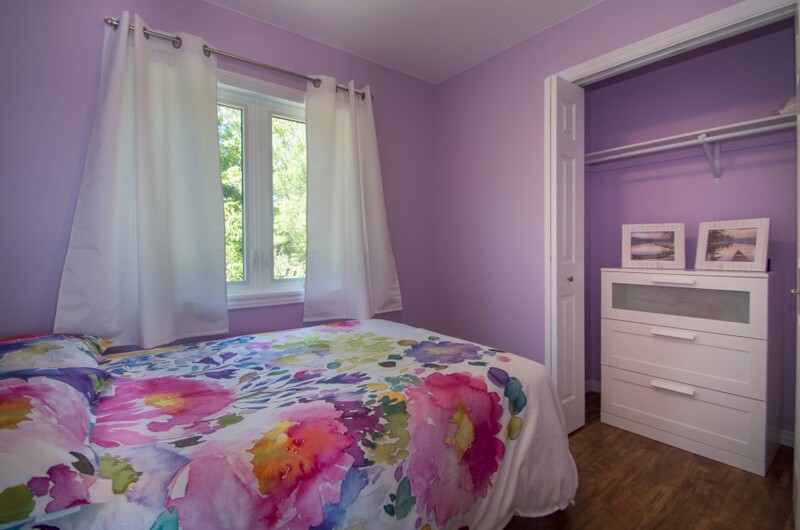 There are 3 very nice bedrooms, each with their own closet and dresser. 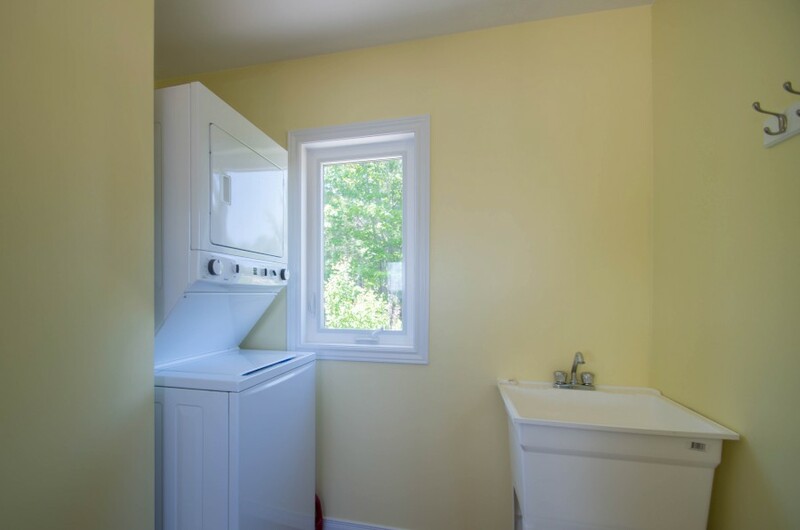 A 3-piece bath with shower and a laundry area round out the interior. 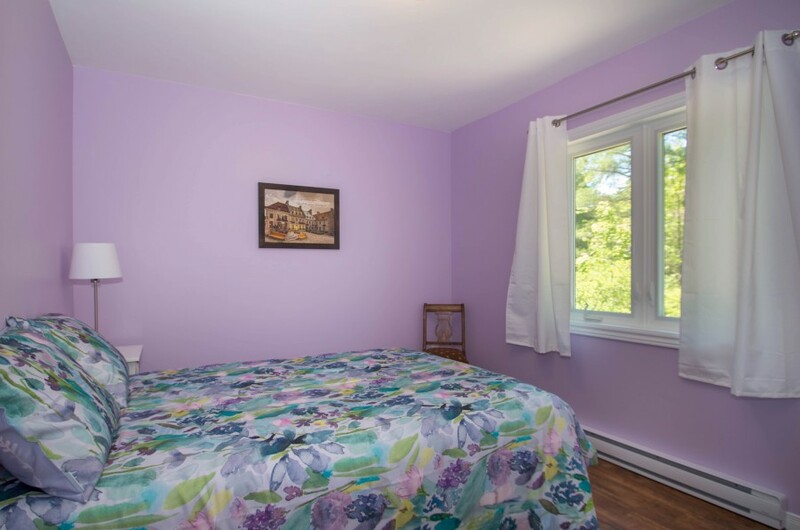 Oh, and if it gets a little warm in the summer sun, you'll be delighted to know that this cottage is air-conditioned! Outside, the deck faces the bay and if you're like us, you'll find that simply sitting and absorbing the scenery is a very appealing prospect. 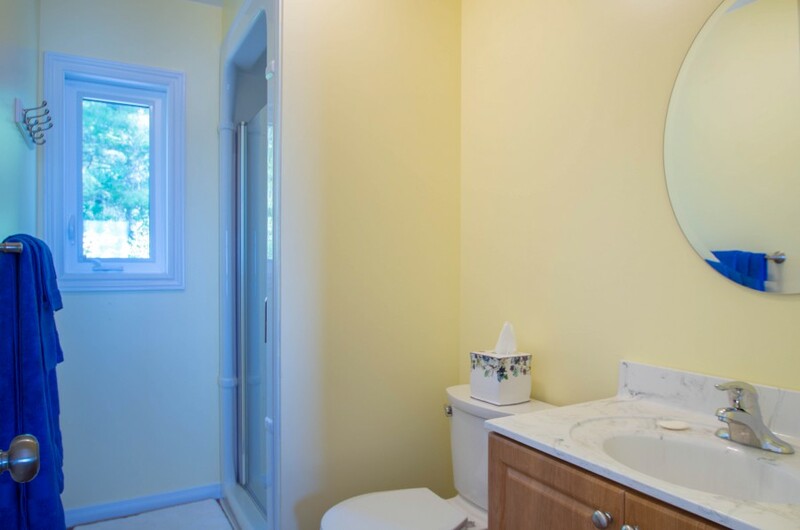 The cottage offers very good privacy. There is a fire pit at the side and only wilderness at the back. 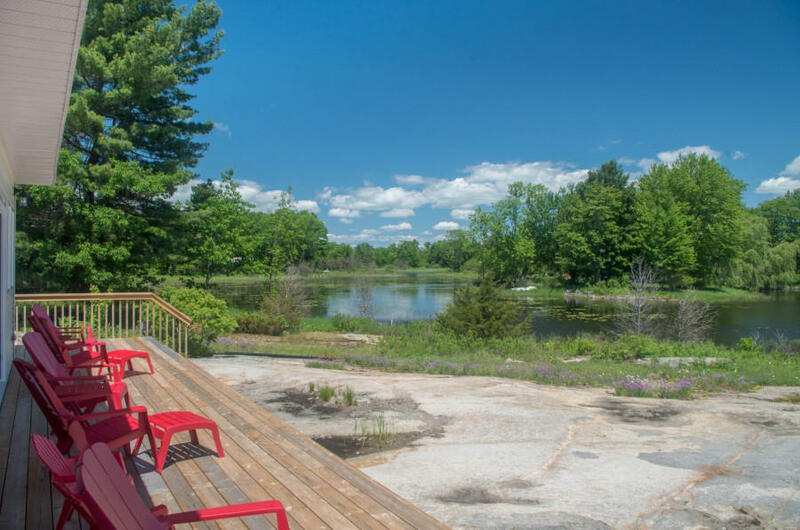 We think you'll love spending time at a traditional cottage campfire under the stars, or maybe just training your binoculars skyward under the darks skies for sights completely unavailable in the city. 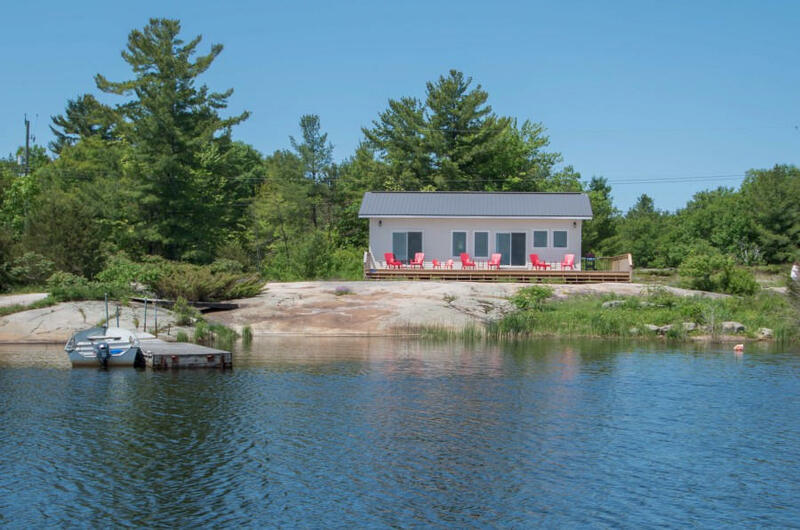 Of course, this cottage favours those who enjoy nautical pursuits, so if it's water fun you like, bring it on! 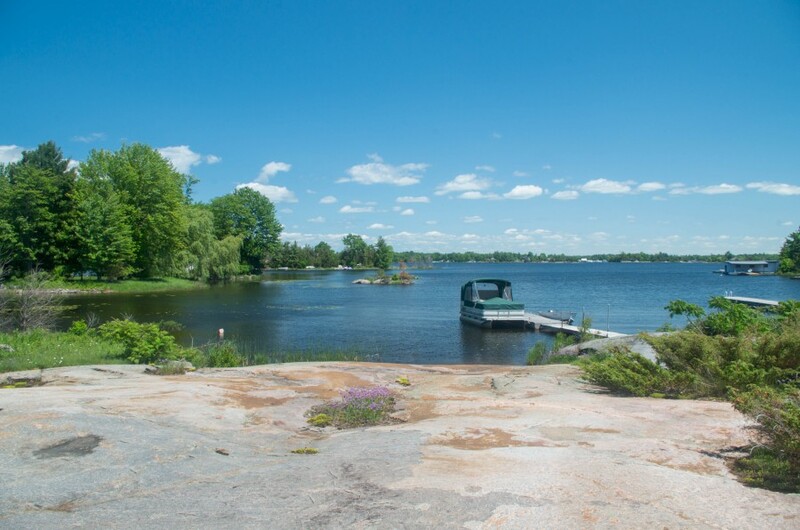 Boating, fishing, swimming - it's Georgian Bay, what more can you ask. 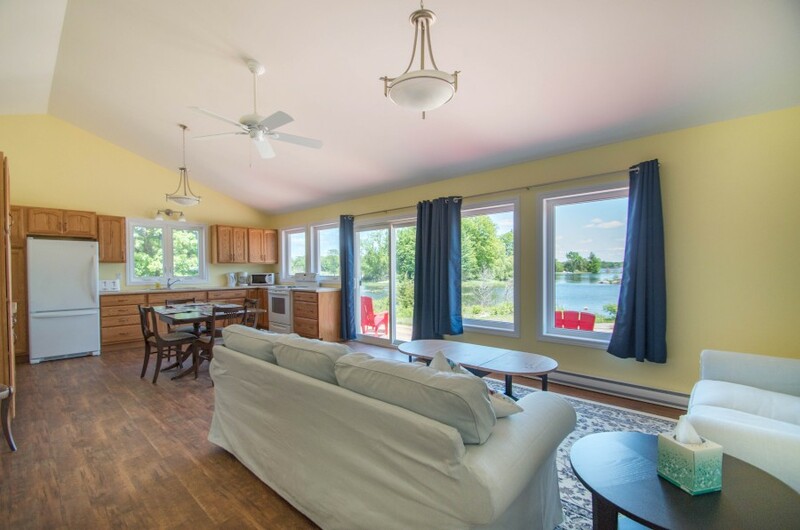 For paddling enthusiasts, the cottage features 2 sit-on kayaks to enjoy in the warmer months. As paddlers will be on top of the kayak, rather than inside, it will not be suitable in early spring and late fall, due to the water temperatures. Guests may choose to bring their own watercraft for the cooler weather or perhaps insulated wet-suits, as you will be in the water with this type of kayak. 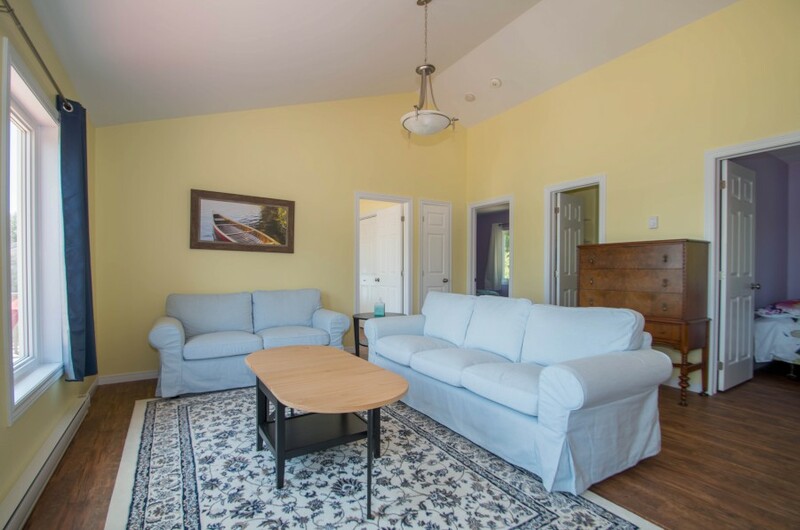 If you feel like getting back to the mainland for a day, you'll find the basics and a couple of restaurants in the Honey Harbour area, with more shopping in Midland, Port Severn and Coldwater. Golfers will want to play a round or two at Oak Bay or Bonaire. If you've never seen the Big Chute Marine Railway in operation, you might enjoy it, especially if you want to do a little boating down the Severn. 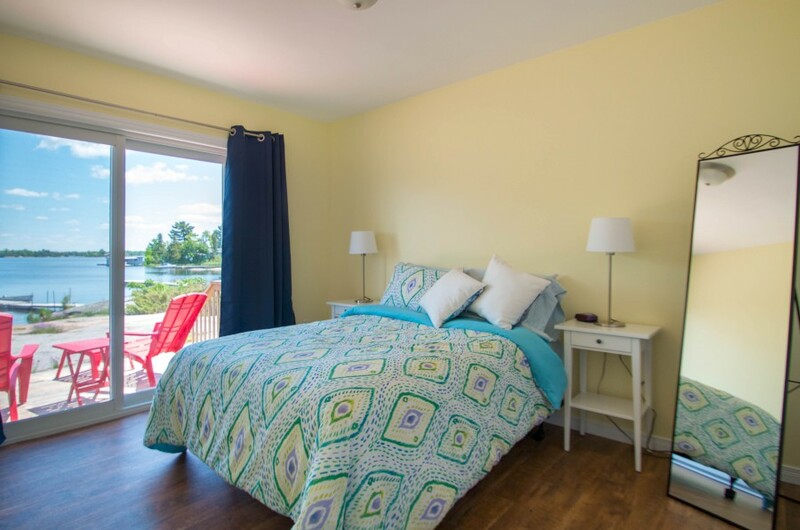 We're always excited to have cottages that embody a traditional Ontario cottage experience - we hope you enjoy this Honey Harbour Classic! 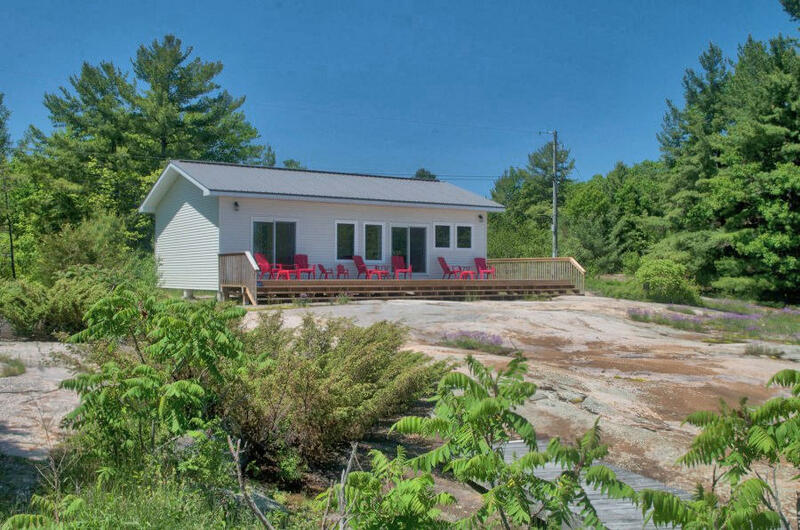 The cottage is perched on shield rock. 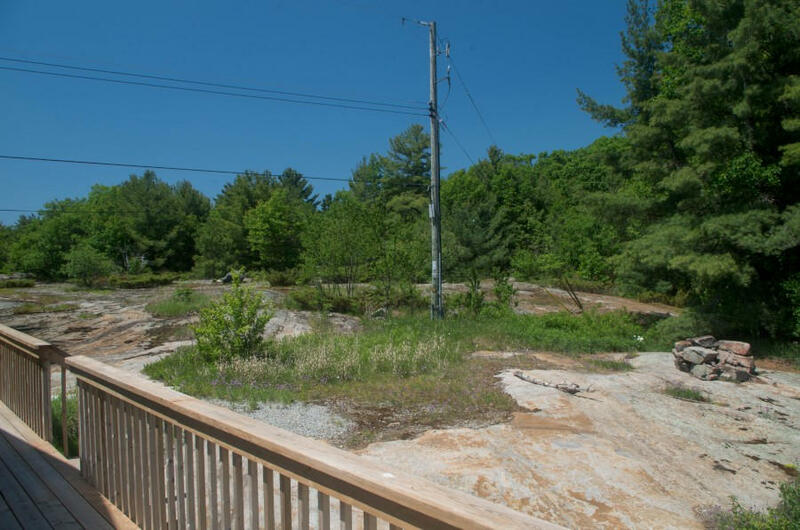 The lot is fairly level and entry to the water is shallow, deepening very gradually. The bottom is soft and there are some weeds. Swimming is good in the deeper water beyond the end of the dock.